Love living at the Fountainssubmitted by Brittany B. - Mar 29, 2019 |Recommended: YesQuiet, clean, friendly. My time at the Fountains has been nothing but positive. If you have an issue they address it quickly. Everyone is super sweet and professional in the office. Prompt, excellent maintenancesubmitted by Regina B. - Mar 22, 2019 |Recommended: YesManagement has been quick to respond and fix minor problems, like faucet leaks. Well done and usually complete within hours of submitting an order. Very good apartmentsubmitted by Kalhara M. - Nov 10, 2018 |Recommended: YesAwesome. It has been a great experience so far. For my boyfriend and I's this is our first apartment it has been fantasticsubmitted by Sydnee W. - Oct 01, 2018 |Recommended: YesLiving here is great, it is very quiet and very well kept. Good Propertysubmitted by Alexander H. - Jul 18, 2018 |Recommended: YesThis is a good property for someone fresh out of college. Beautiful propertysubmitted by Heather P. - Apr 27, 2018 |Recommended: YesCozy and Quiet living spaces. Nicely maintainedsubmitted by Carla M. - Feb 26, 2018 |Recommended: YesQuiet, private. Parking is not the best, no guaranteed spots, covered spaces cost, and there are none near my building. sprinklers constantly cause water spots on my car. Really good place to livesubmitted by Kim D. - Jan 05, 2018 |Recommended: YesI am glad to be living at The Fountains for several reasons. First, any concern or maintenance issue has been very promptly addressed. Jennie, the manager, has been great from day one. Second, the grounds are maintained extremely well and the laundry facilities are kept clean and in working order. Finally, there is no smoking inside the apartments which was important to me when searching for an apartment. A great place with equally great staff, facilities, and amnities.submitted by Matthew M. - Jan 01, 2018 |Recommended: YesThe Fountains apartments sets itself apart from others with their friendly and helpful staff, their prompt, respectful, and professional maintenance staff, and a beautiful living area. You can be as involved or as private as you'd like to be. My four years there were excellent, and I'd recommend this complex to anyone that is looking. Great place to live.....submitted by Lorenzo G. - Nov 22, 2017 |Recommended: YesThe staff is helpful and friendly. The property is well maintanced and work orders get done quickly. 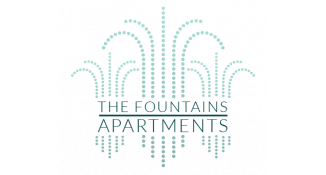 I enjoy the Fountain Apartments.....you will too.